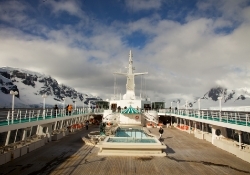 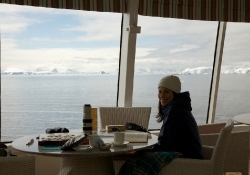 So we spent the last 5 days cruising around Antarctica which we had no idea how magnificent it was going to be. 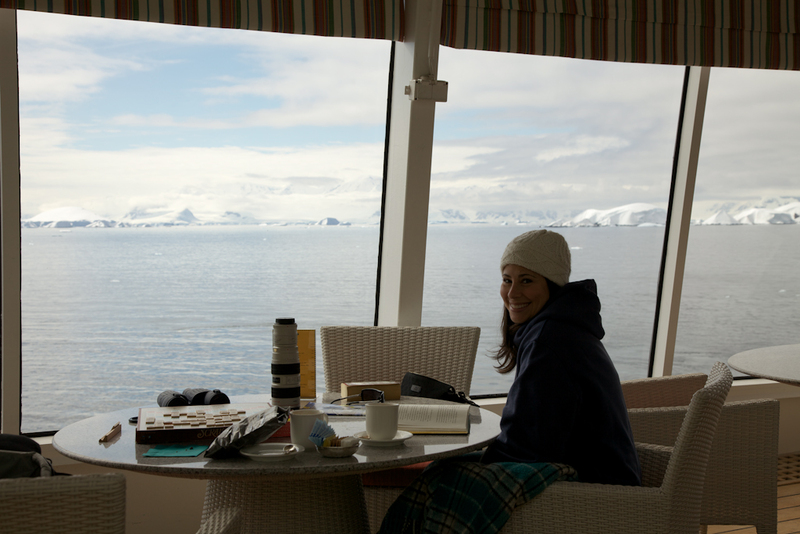 It started out with us waking up at 9:00am the first morning and casually opening up the window treatments to find a view that was unreal! 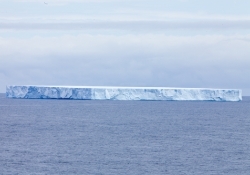 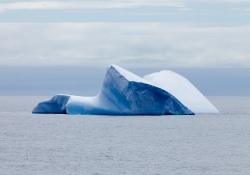 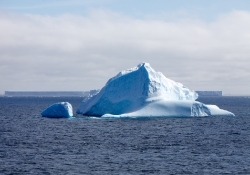 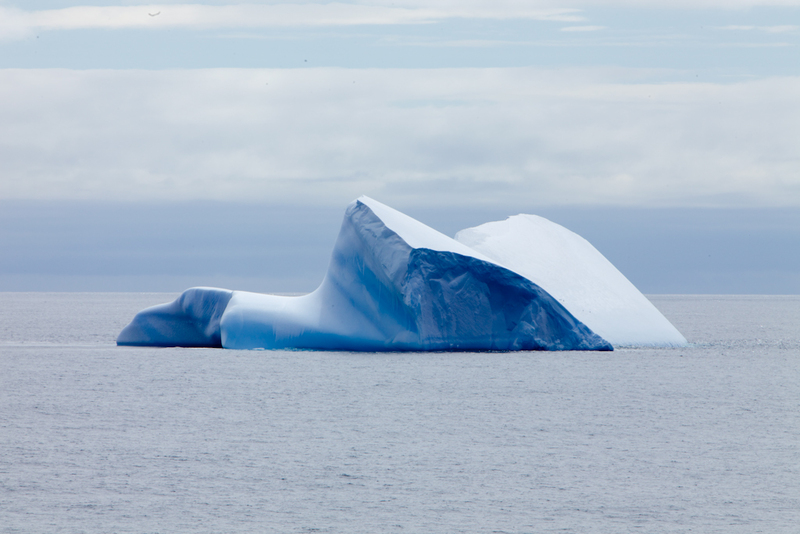 With gigantic icebergs floating by within 100 feet of the ship to 100’s of them scattered over the horizon. 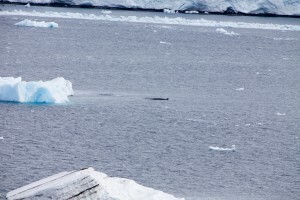 It was like nothing we had ever seen! 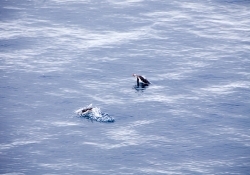 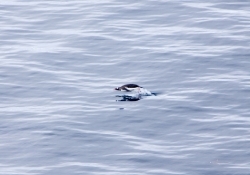 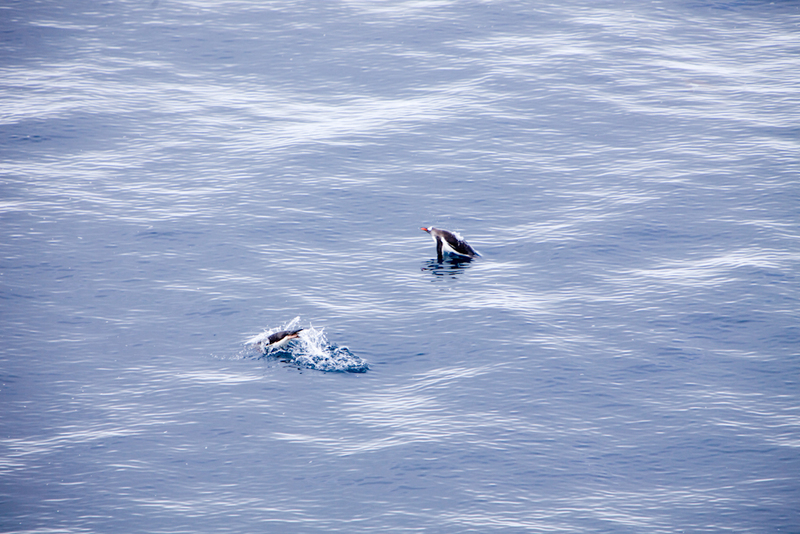 Here are some penguins swimming next to the ship, As you can see they are always jumping out of the water when they swim. 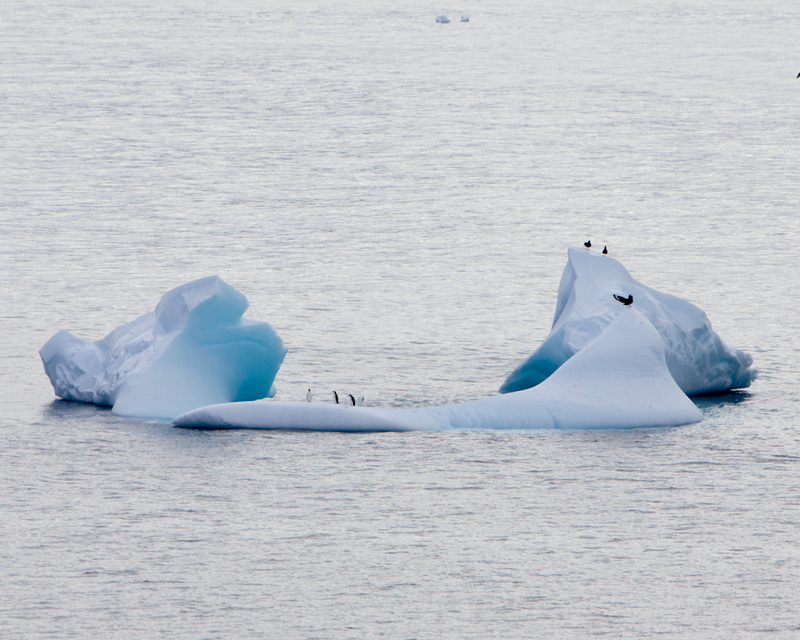 The penguins seemed to be everywhere. 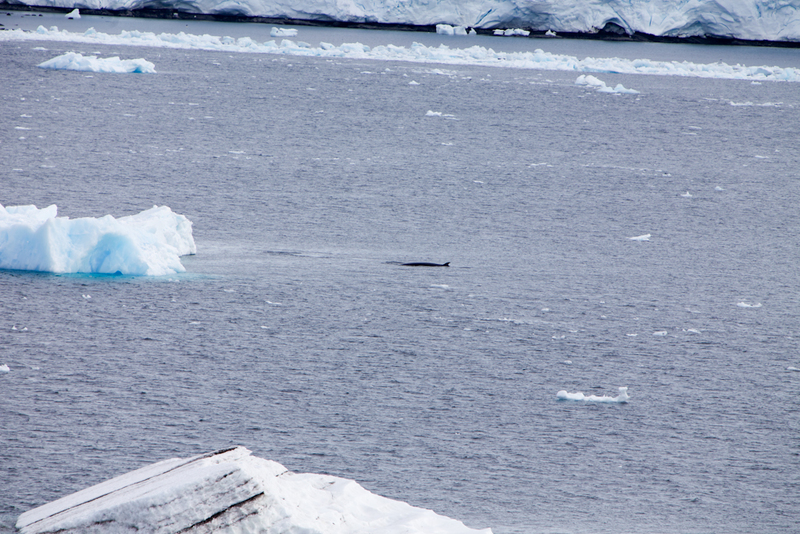 We also spotted many whales along the way. 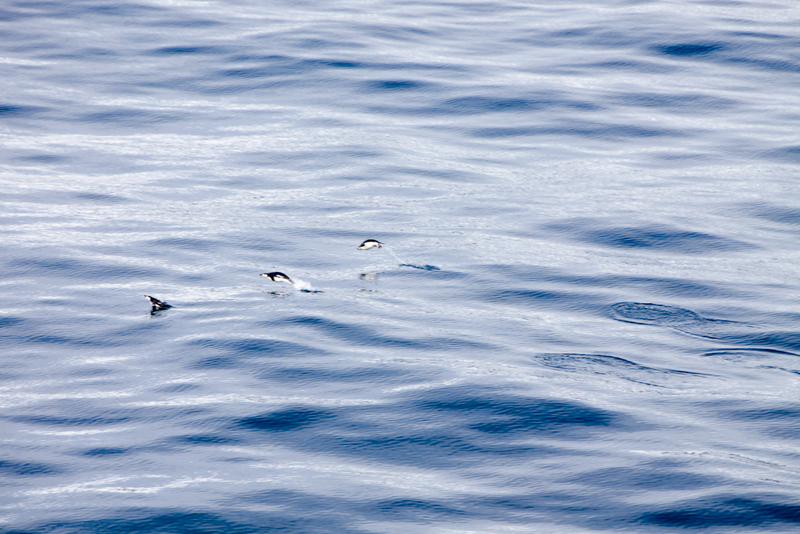 They were only out of the water for a couple seconds which made it really hard to photograph! 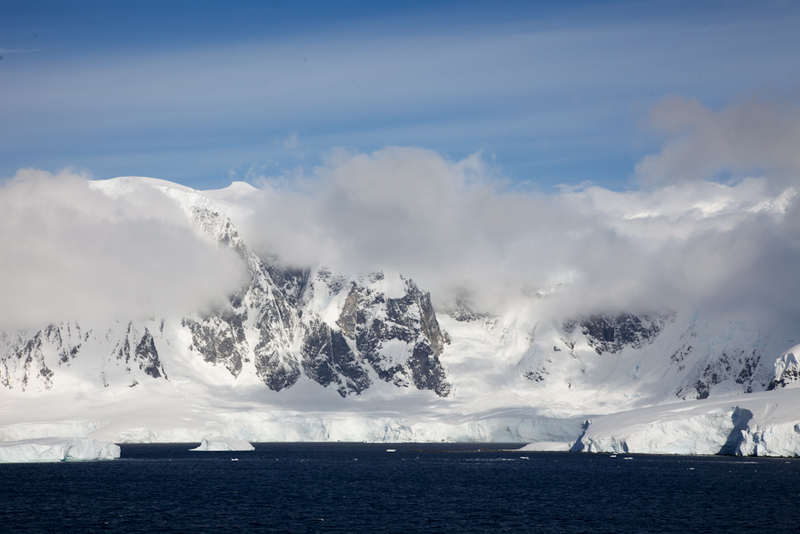 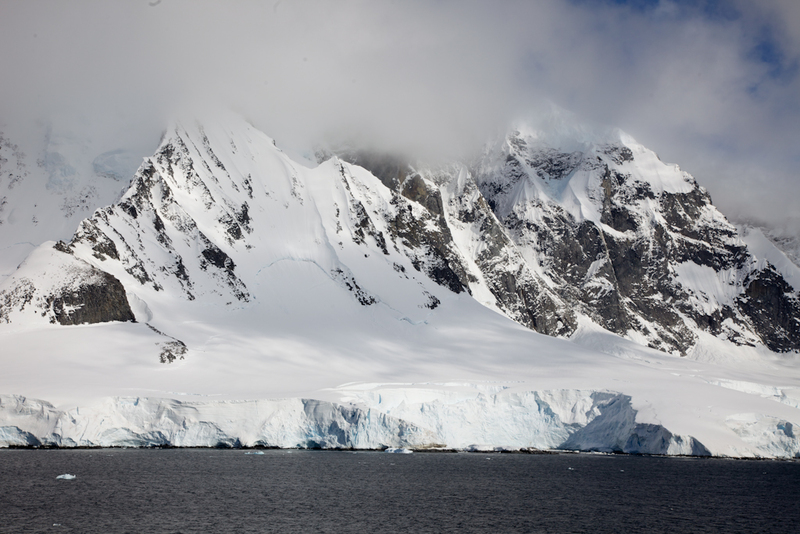 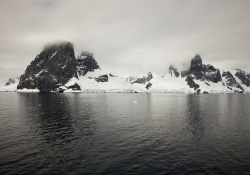 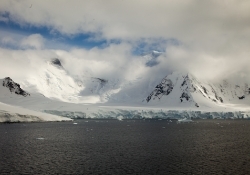 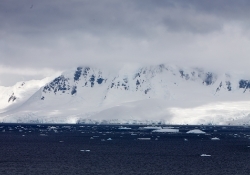 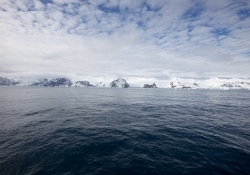 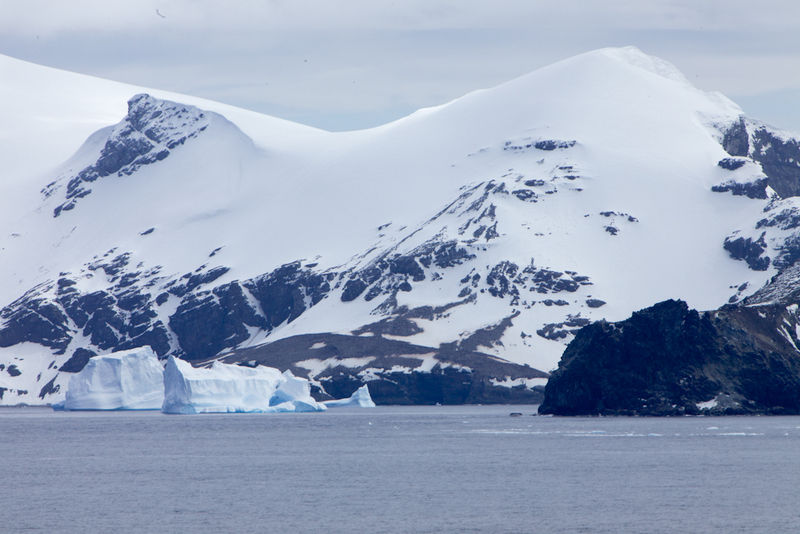 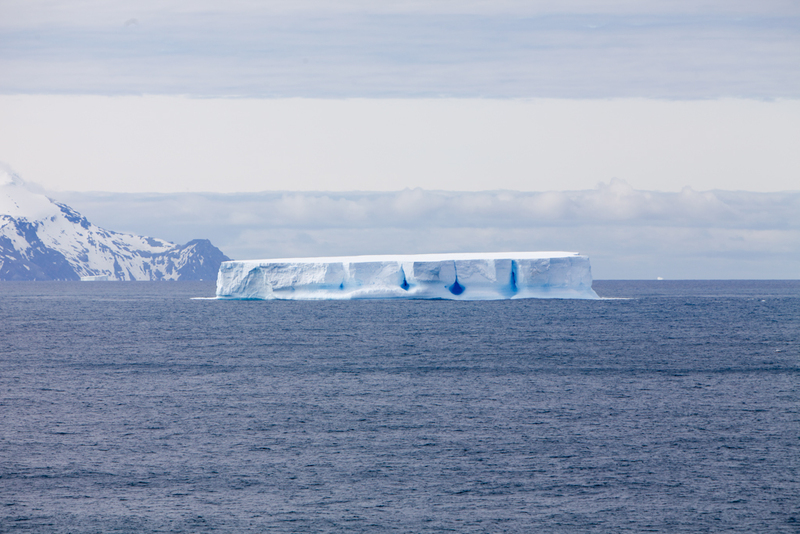 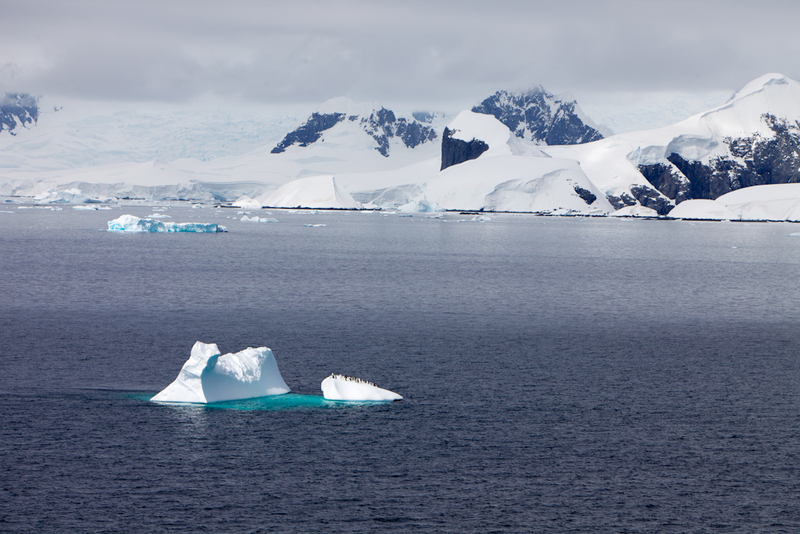 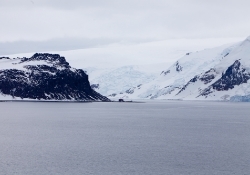 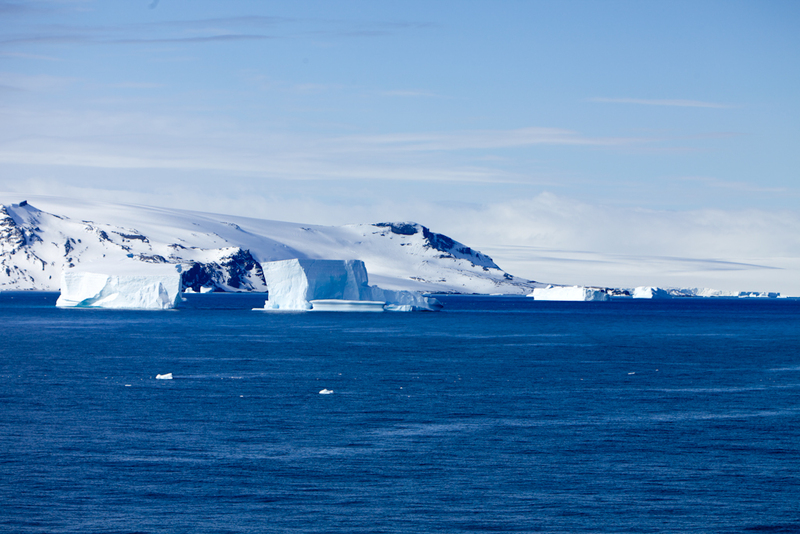 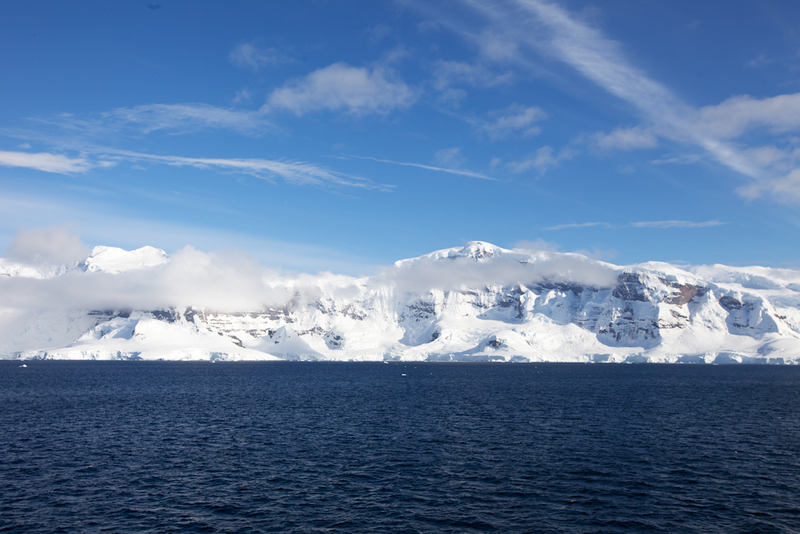 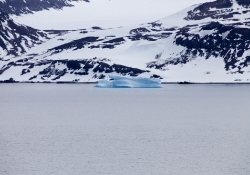 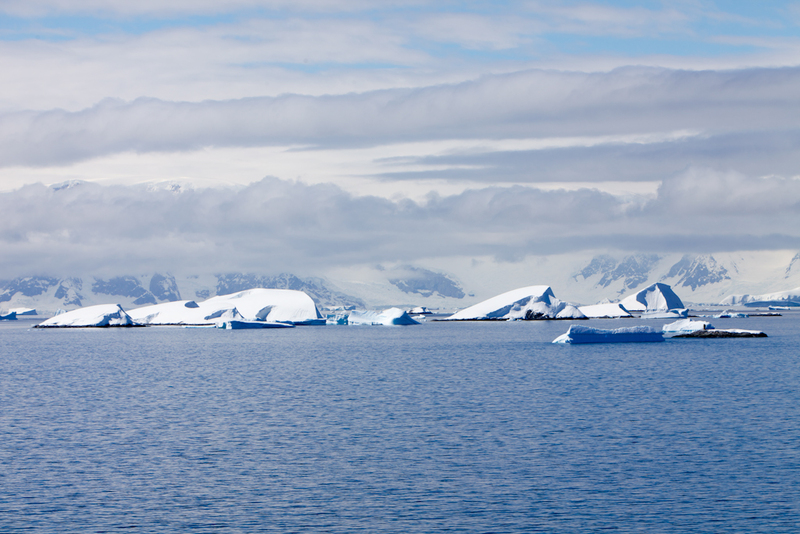 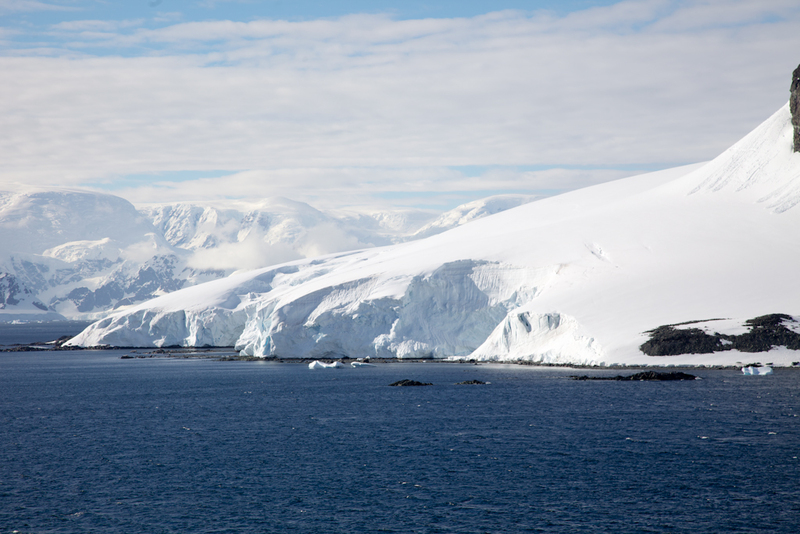 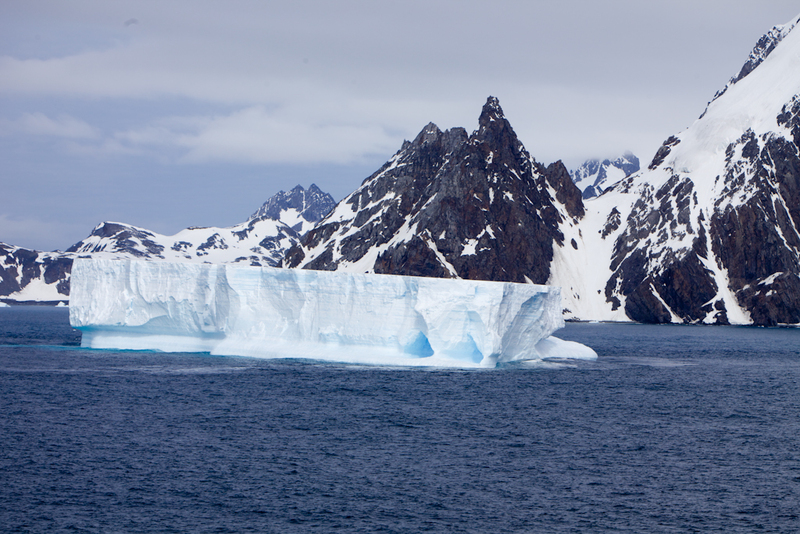 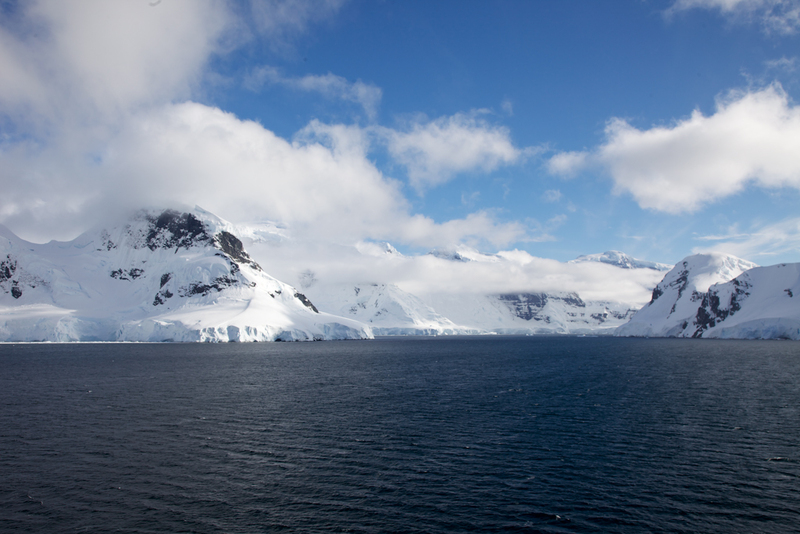 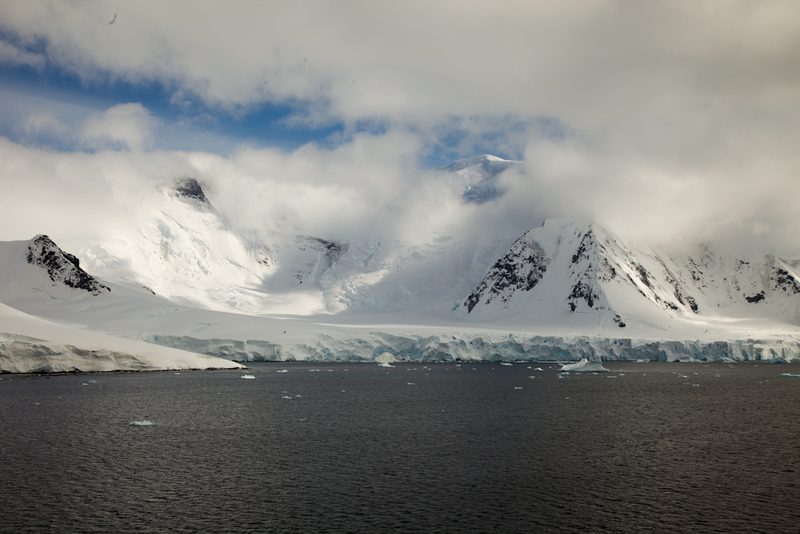 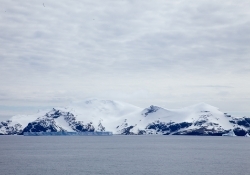 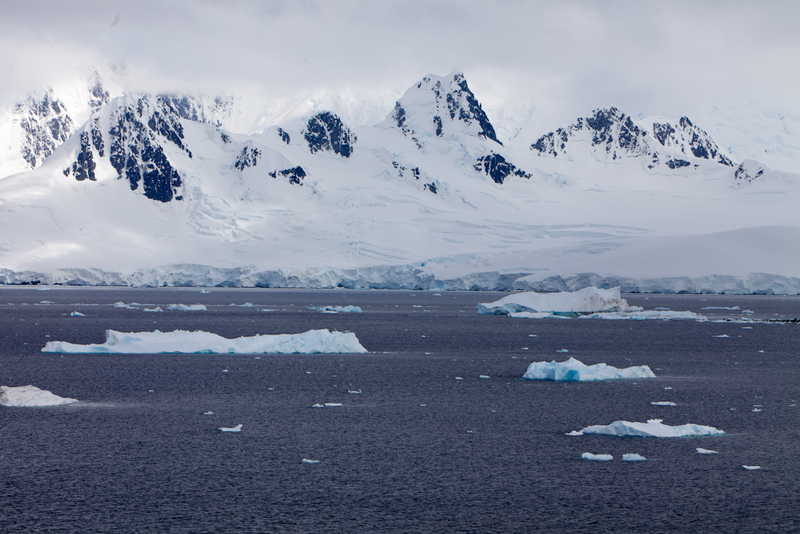 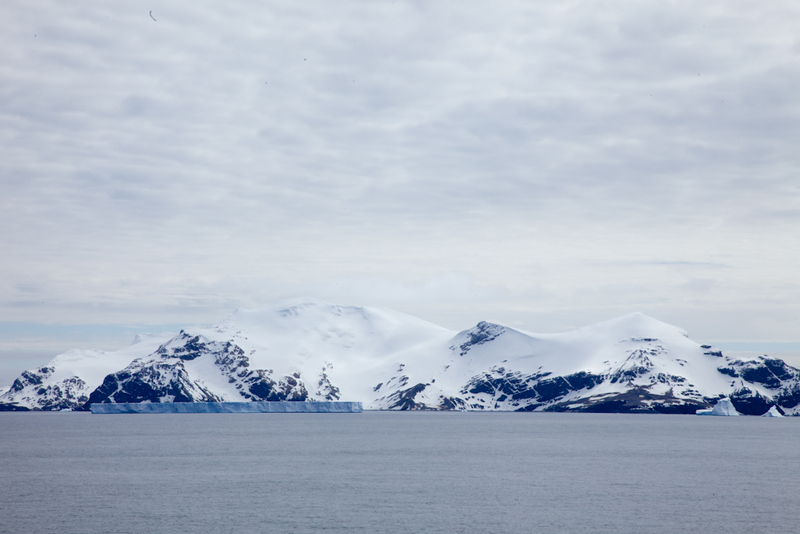 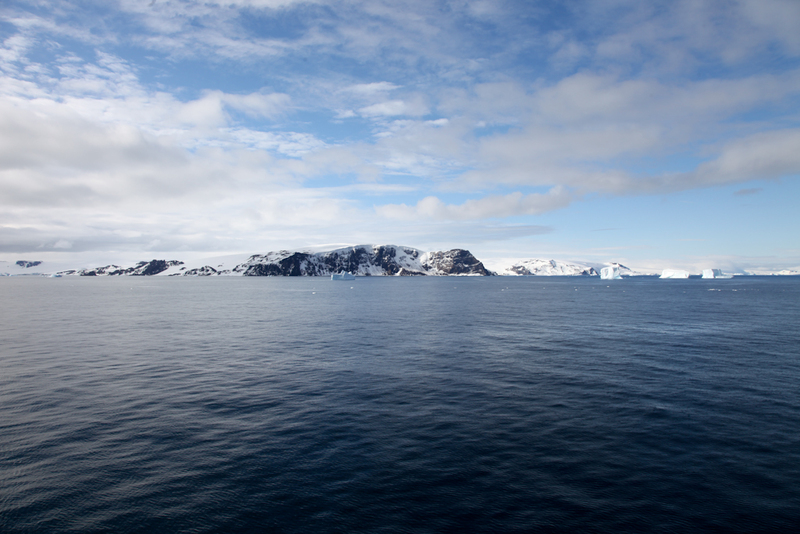 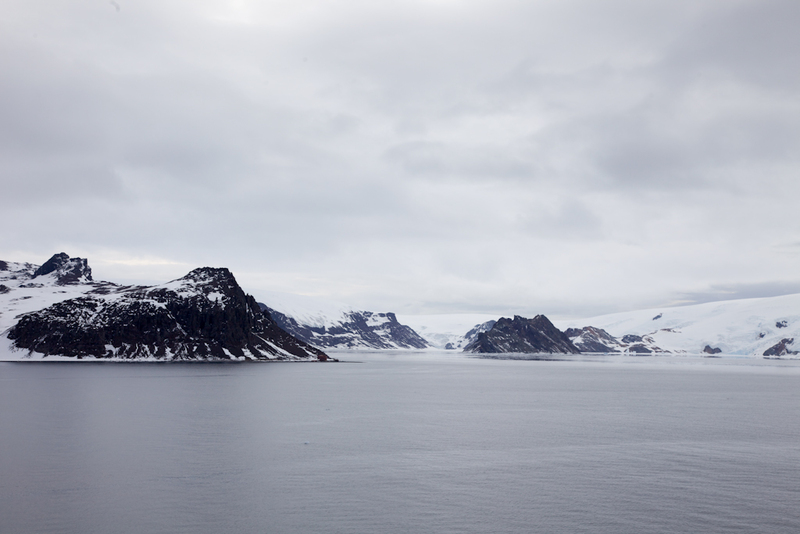 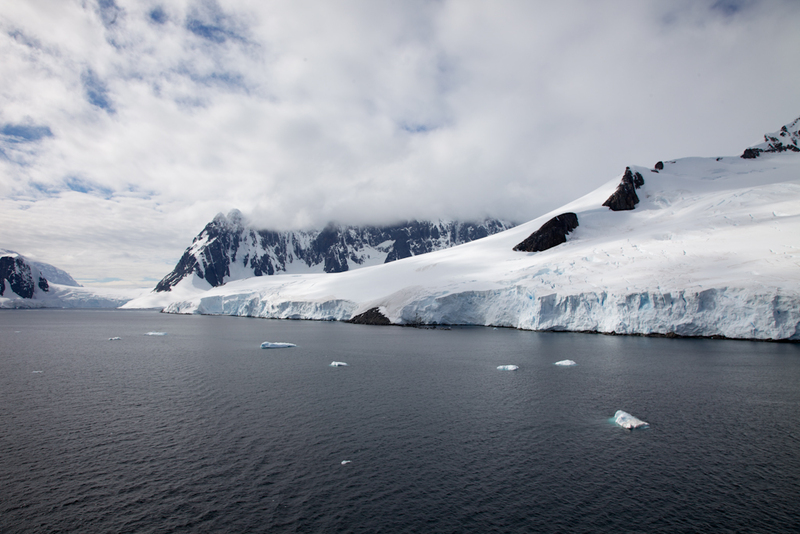 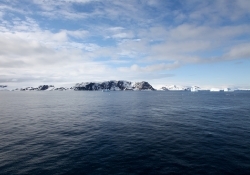 As we traveled along heading to different locations in Antarctica the landscape was constantly changing. 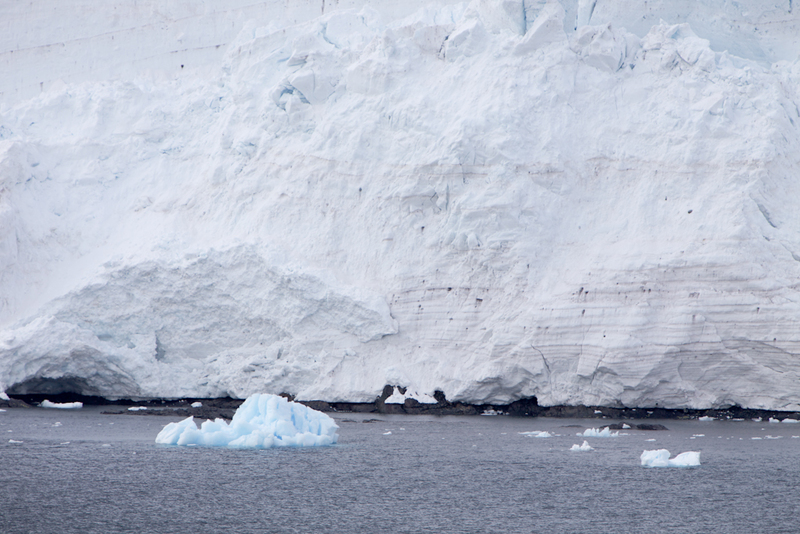 Some of the areas were completely covered in ice and some had rocks showing through. 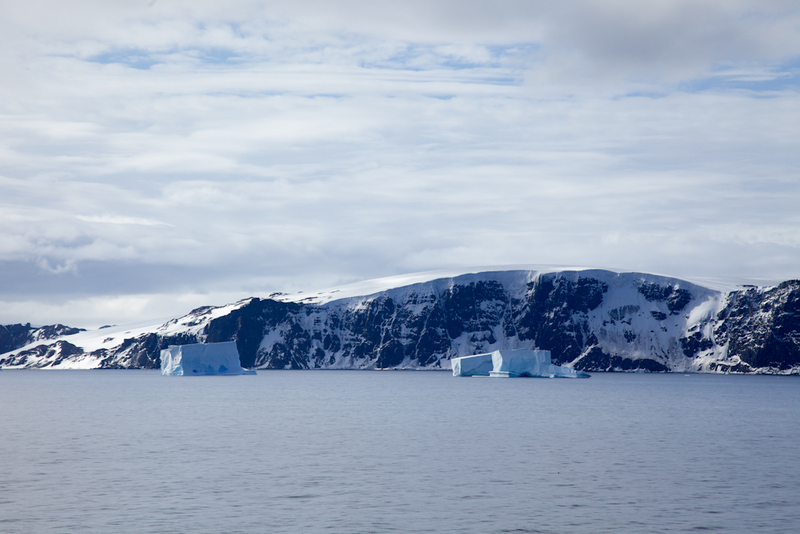 As you can see in these pictures the vast differences in weather, seas and the amount of ice. 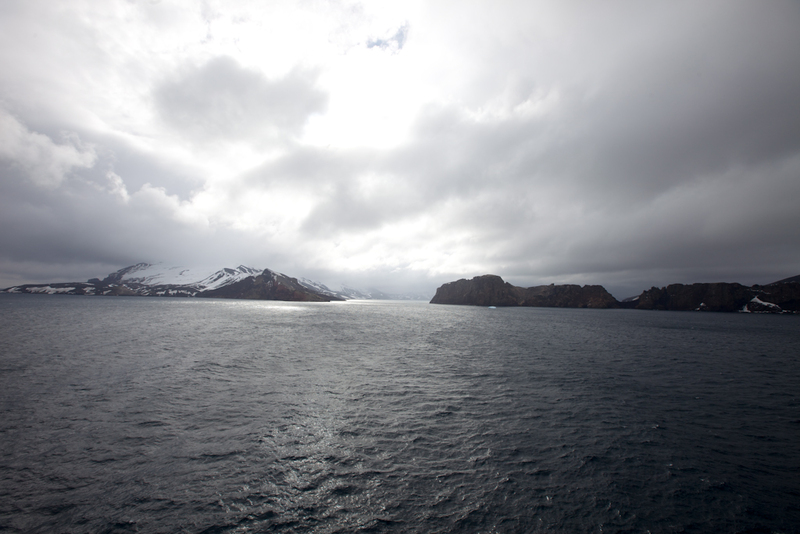 Just traveling 20 minutes along the route and everything constantly changed. 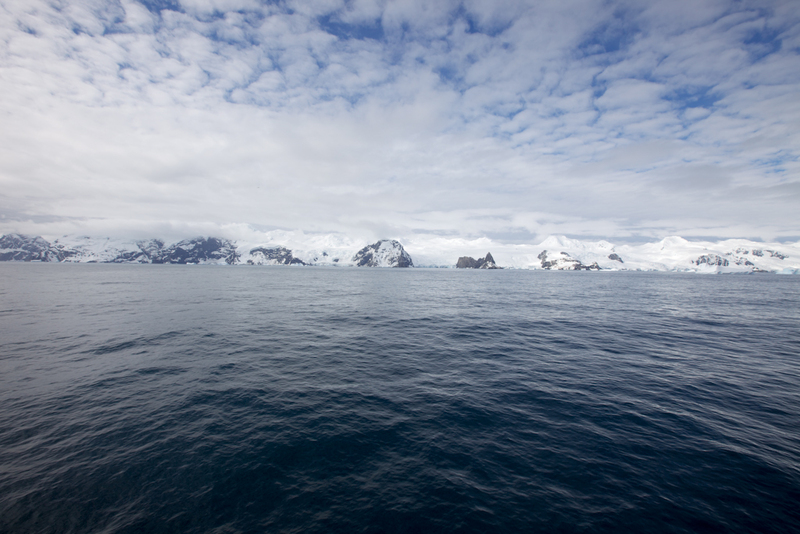 Here are just a few quick facts we learned along the way. 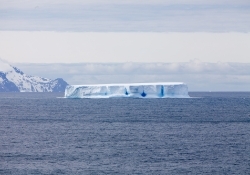 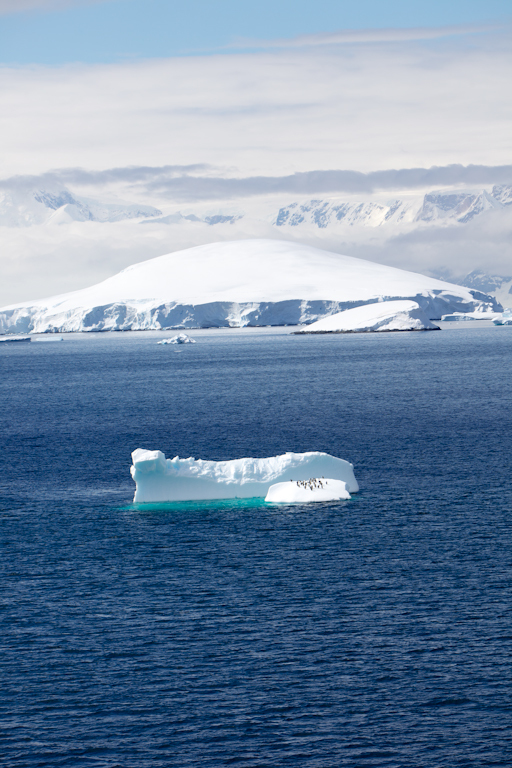 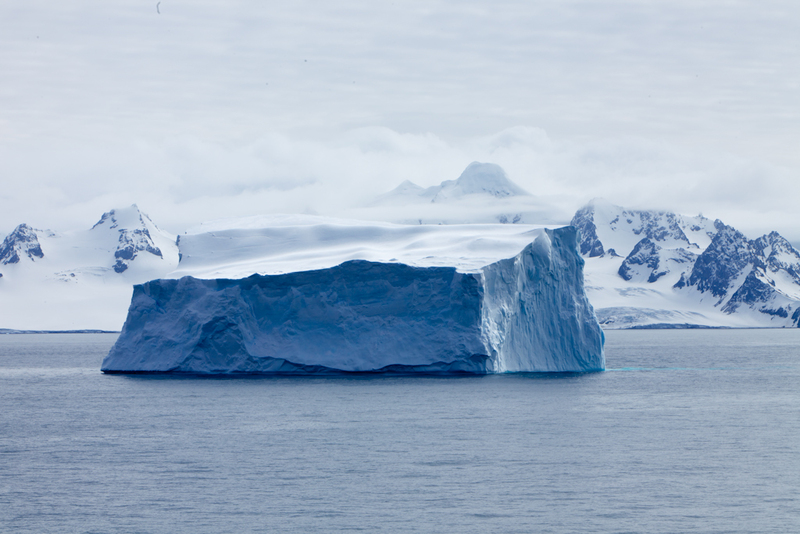 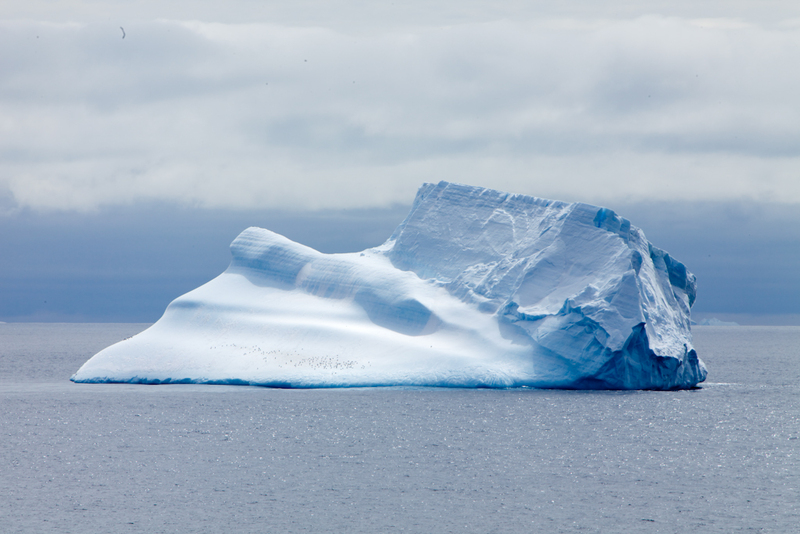 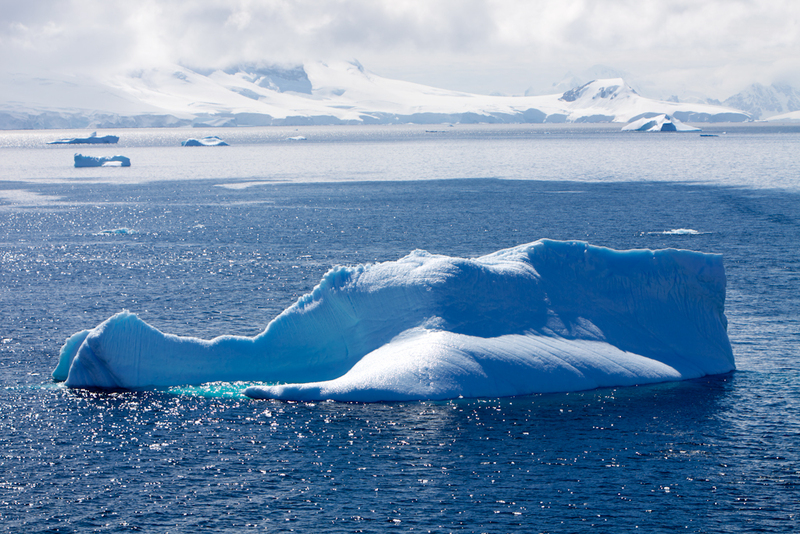 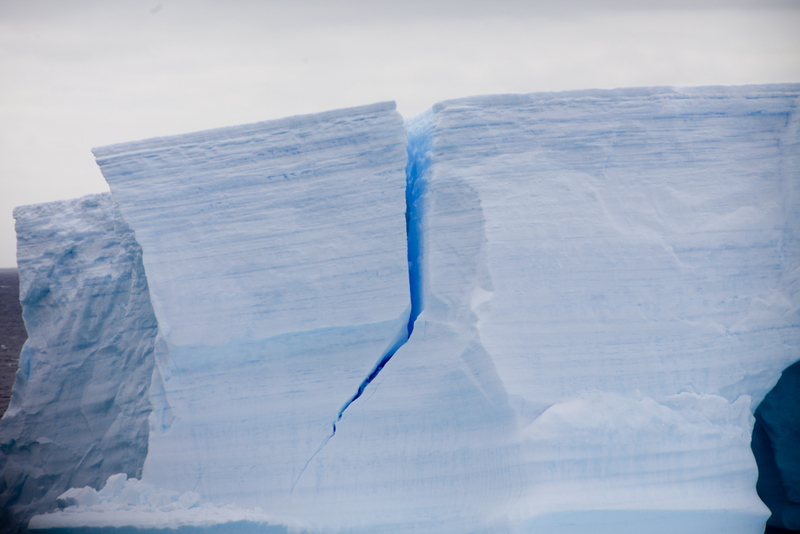 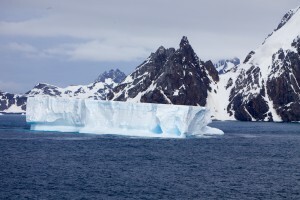 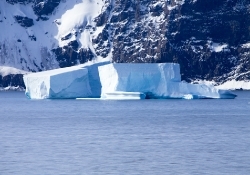 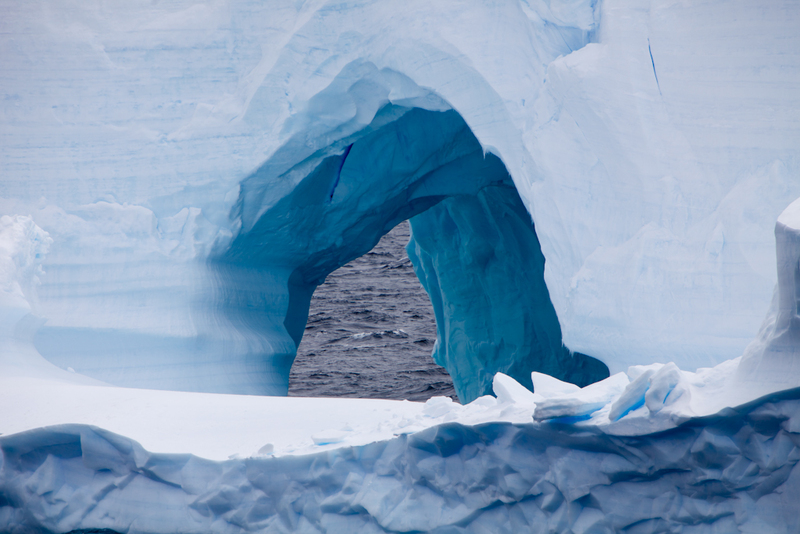 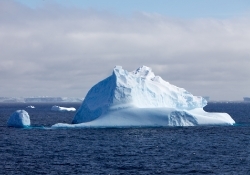 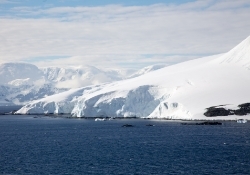 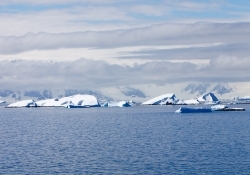 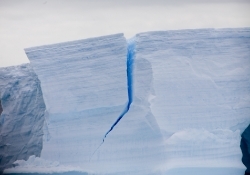 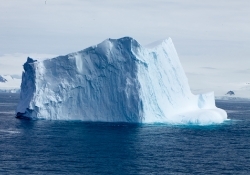 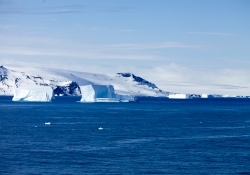 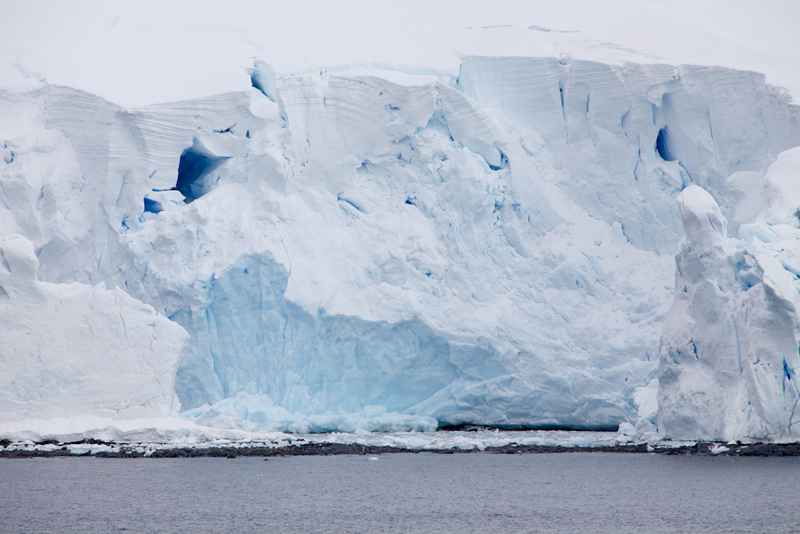 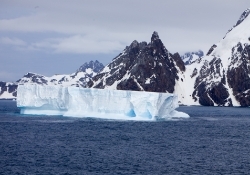 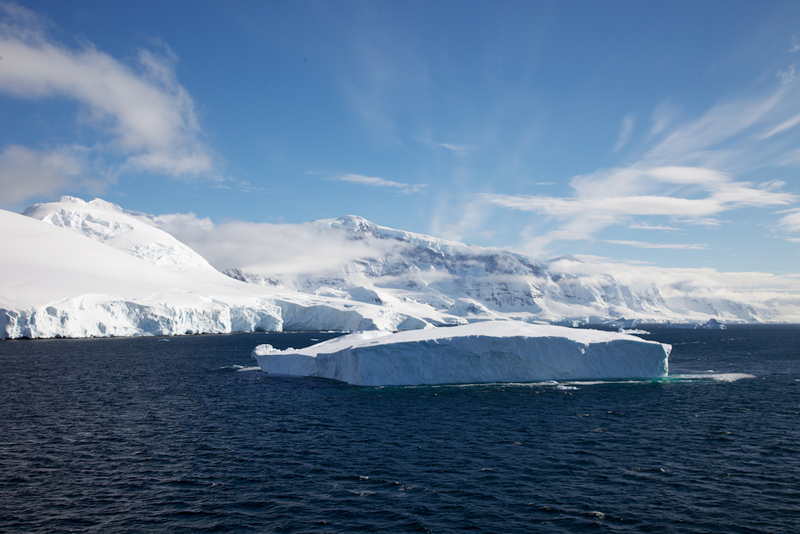 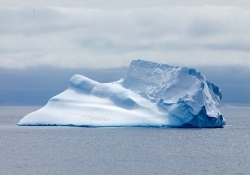 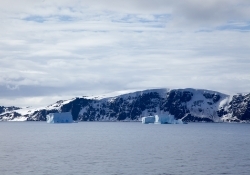 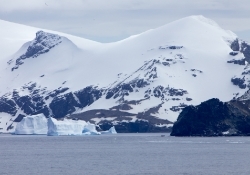 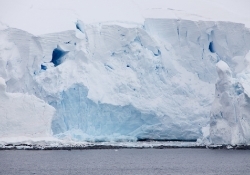 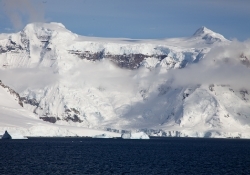 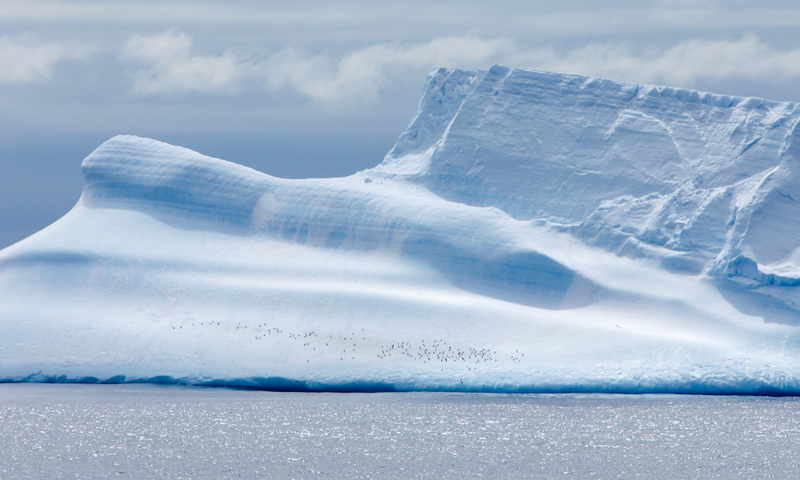 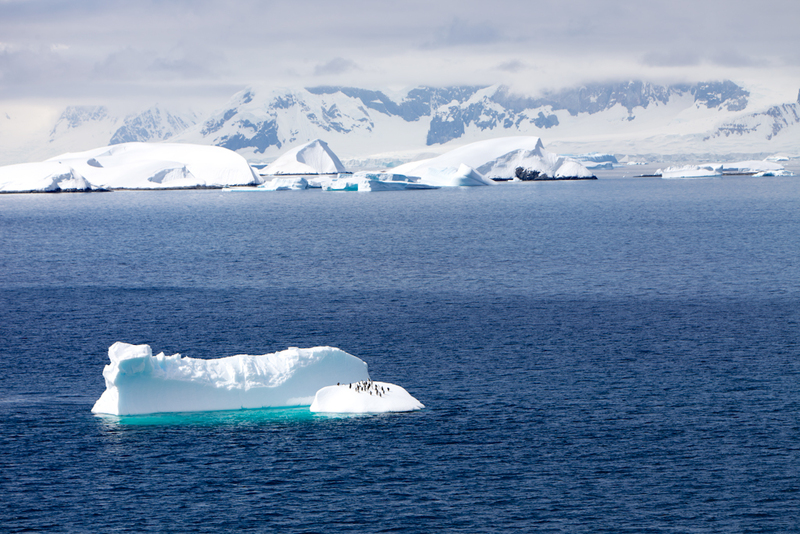 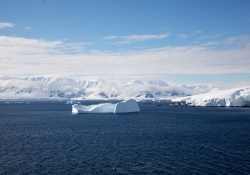 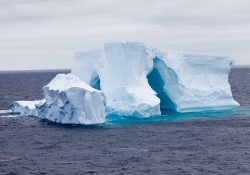 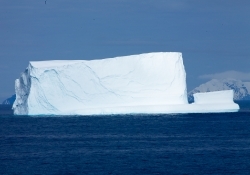 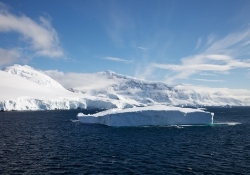 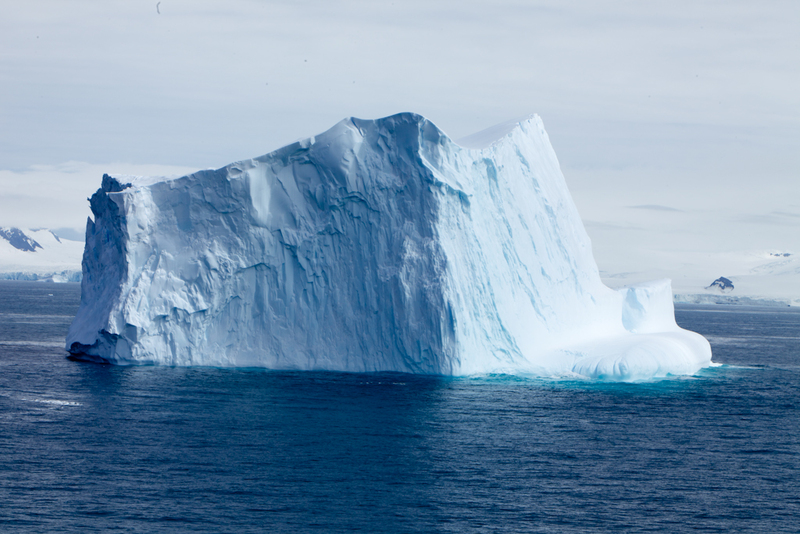 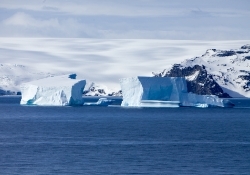 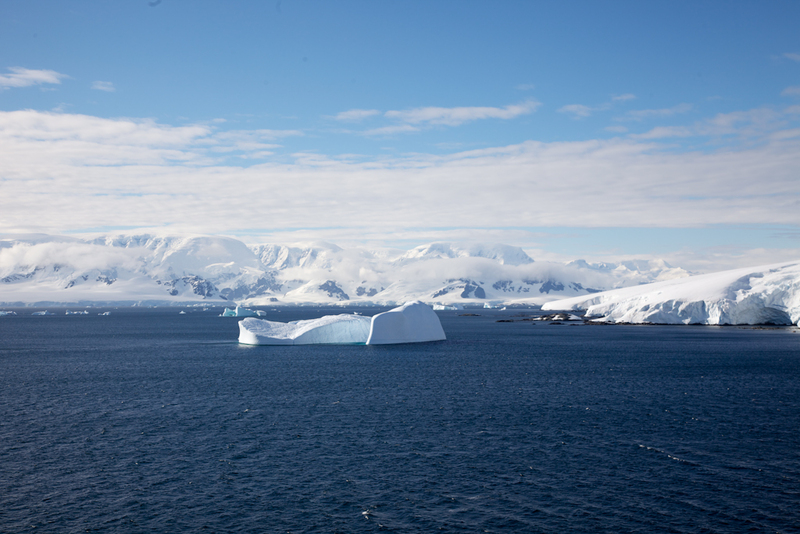 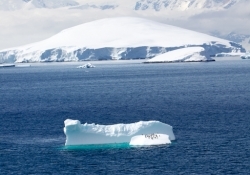 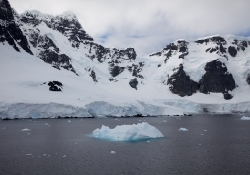 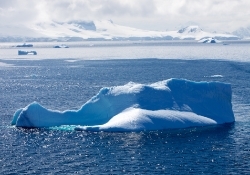 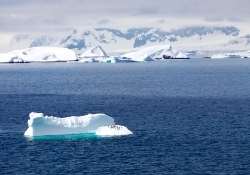 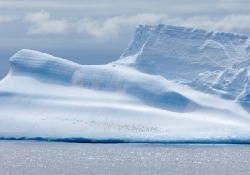 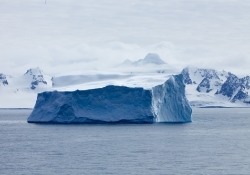 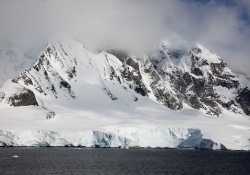 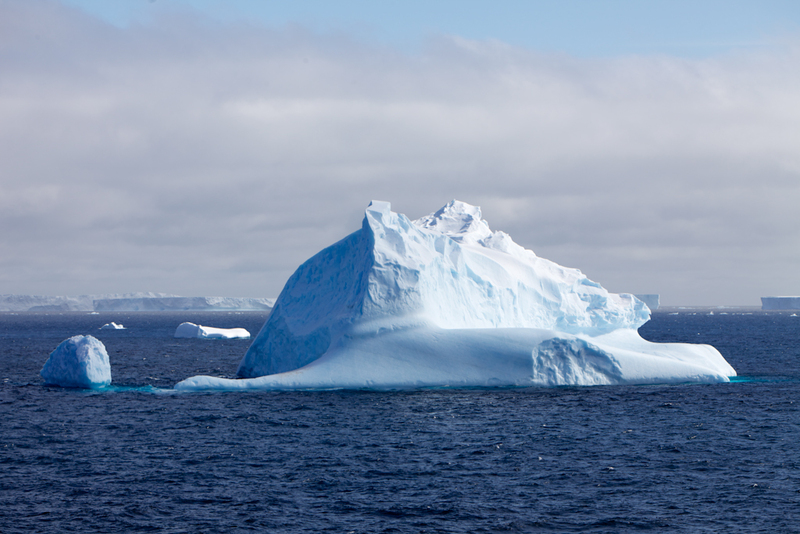 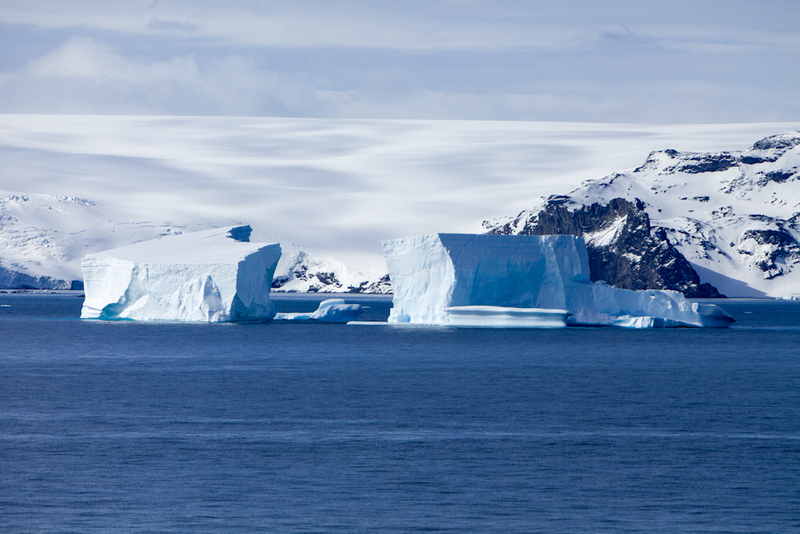 The ice in Antarctica contains 3/4 of the wold’s fresh water supply. The ice is 3 miles thick. The snow never melts, therefore it is millions of years old and is continually accumulating. 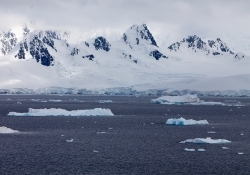 Due to freezing seas around Antarctica in winter, the continent doubles in size during wintertime. 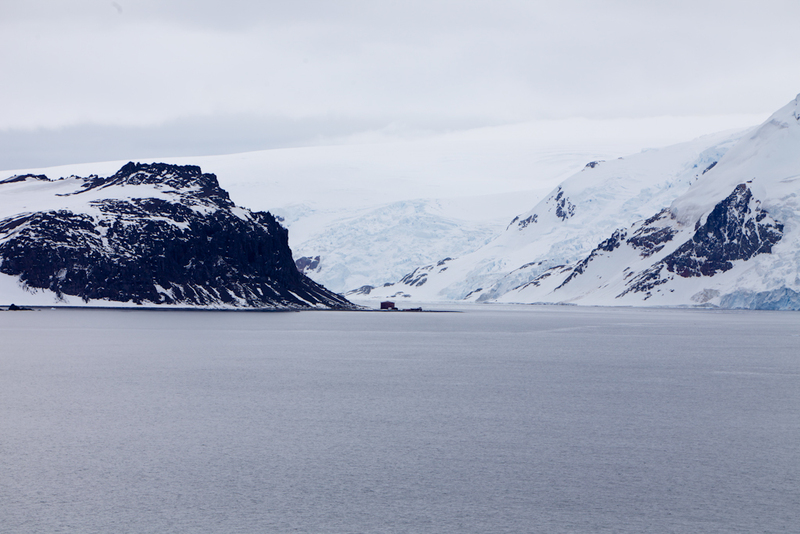 While we were there the sun set around 12am – but never got completely dark and the sunrise was at 3:30am. It was very unusual going to bed at midnight and it being light out. 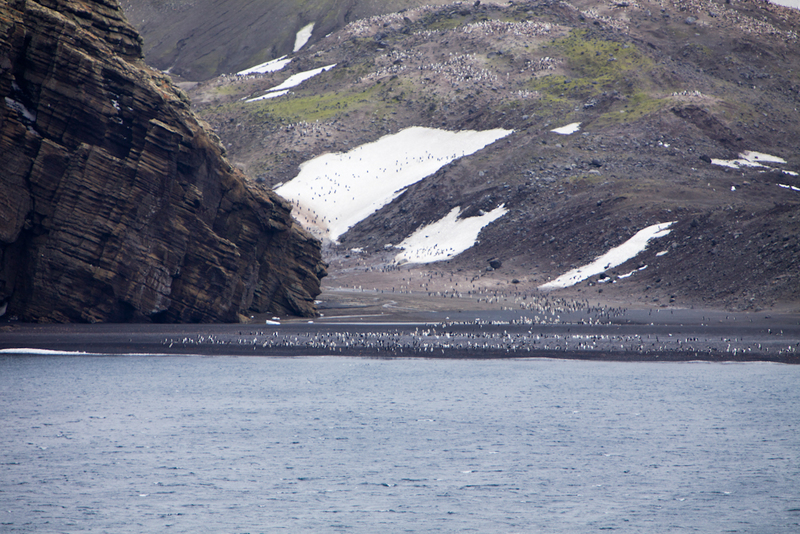 One of the places we visited along the way was Elephant Island. Here is a colony of penguins. 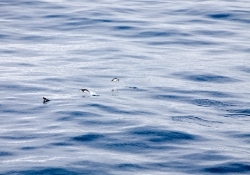 If you look at the larger version (click this image to see) you can see them everywhere. The next day we headed to Deception Island. 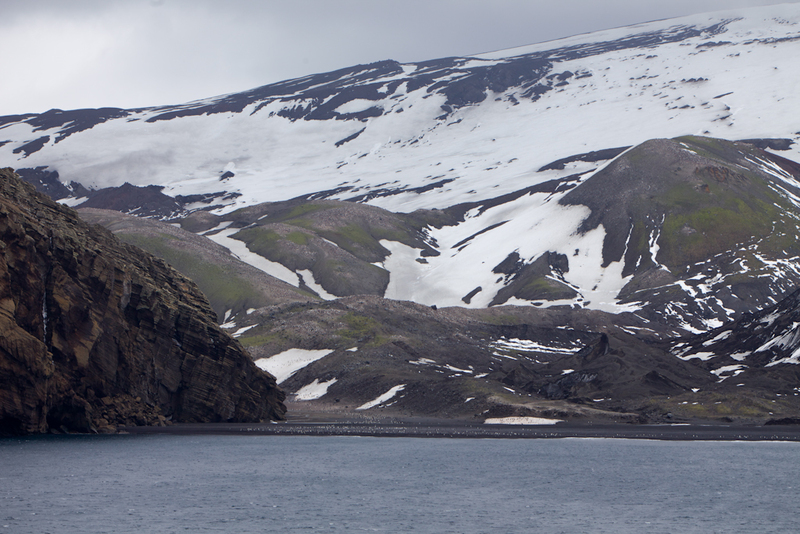 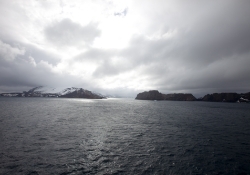 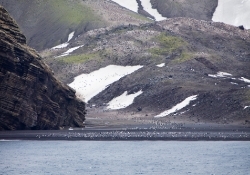 Deception island is basically the remains of a volcanic crater or caldera. 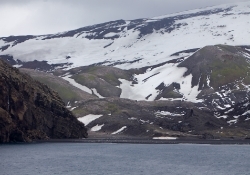 The volcano erupted most recently in 1970. 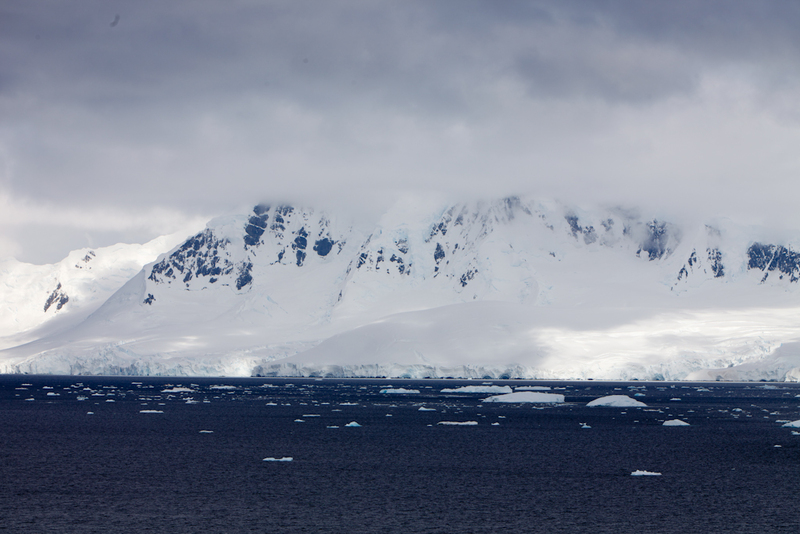 The last of our stops in Antarctica was at Palmer station which is the US research station where they have about 20-40 scientist conducting experiments throught the year. 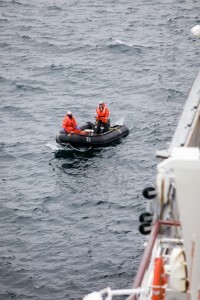 We were fortunate to have about 15 of them board our ship and give a lecture on what they do and then had a question and answer period with the guests. 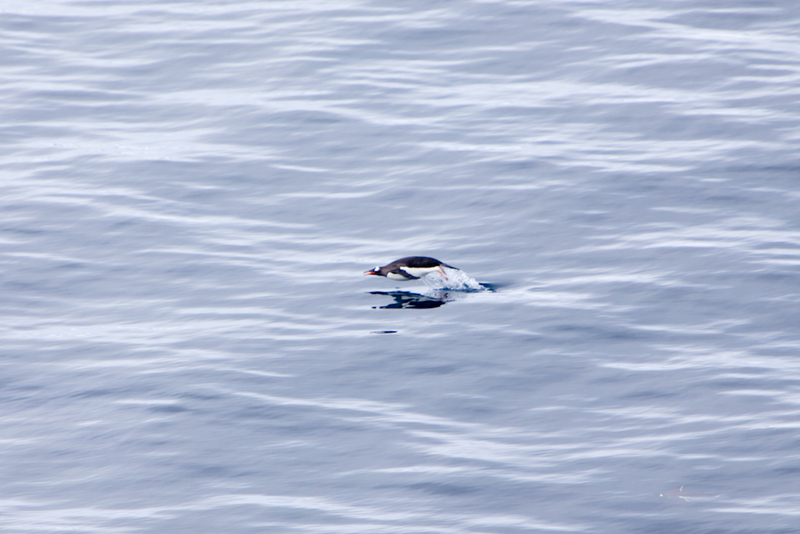 It was very interesting. 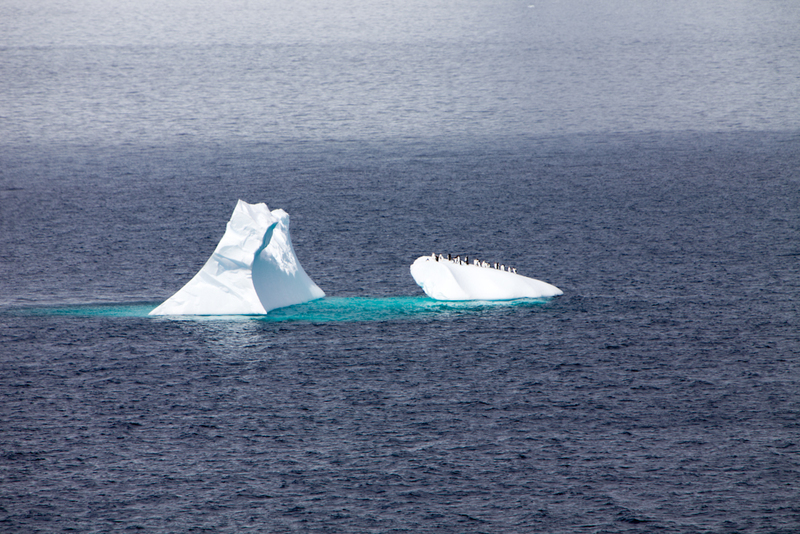 Lots of young men and women performing all different types of scientific research, from wildlife to climate change. Here they are getting ready to board the ship. 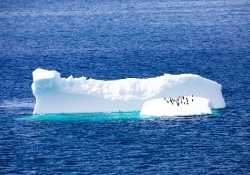 Every once in a while we were delighted to have an iceberg go by the ship with a bunch of penguins just hanging out on it. 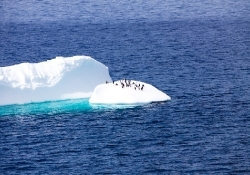 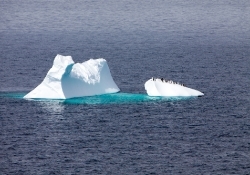 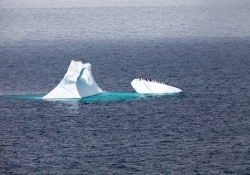 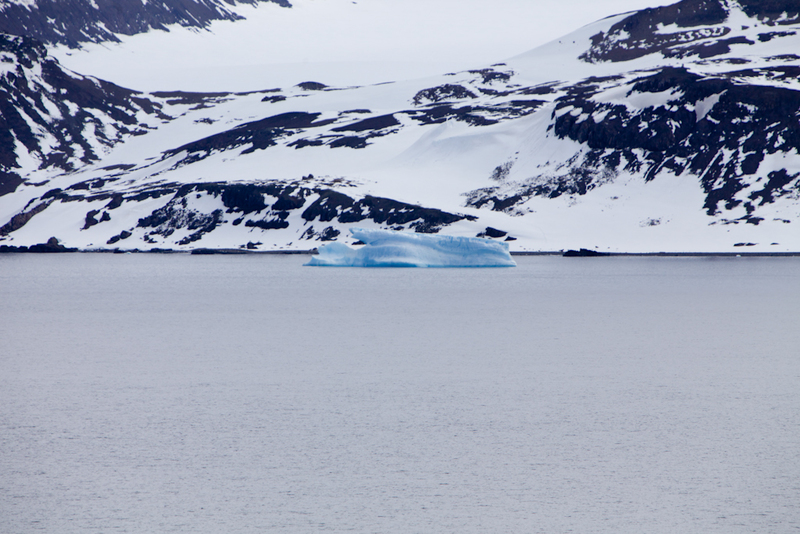 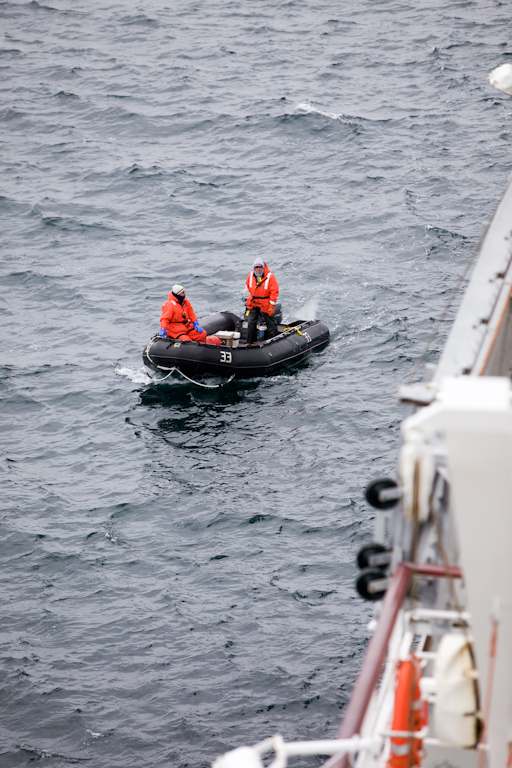 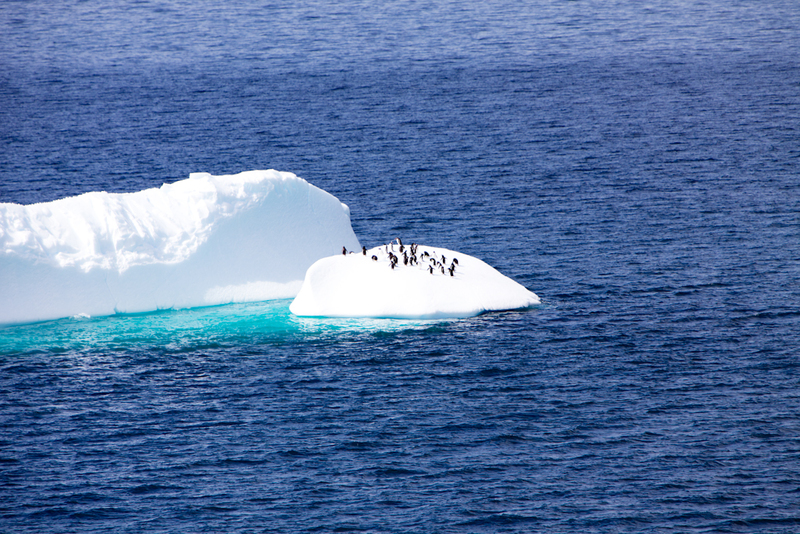 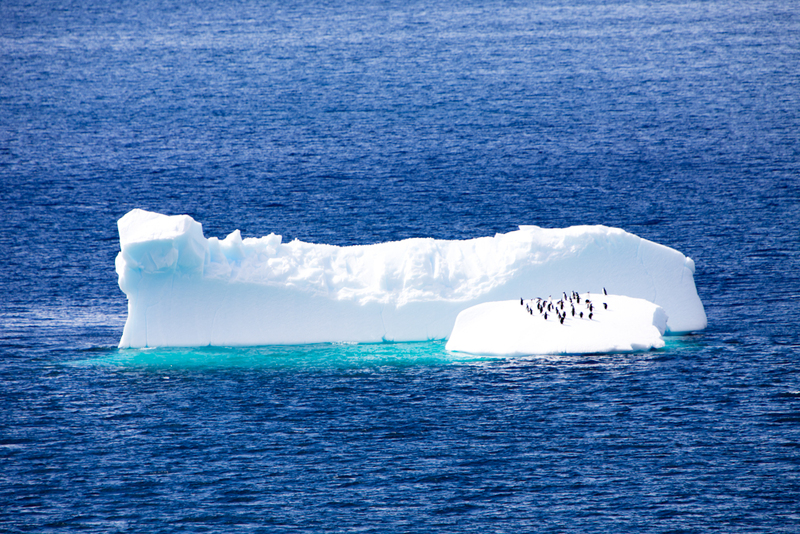 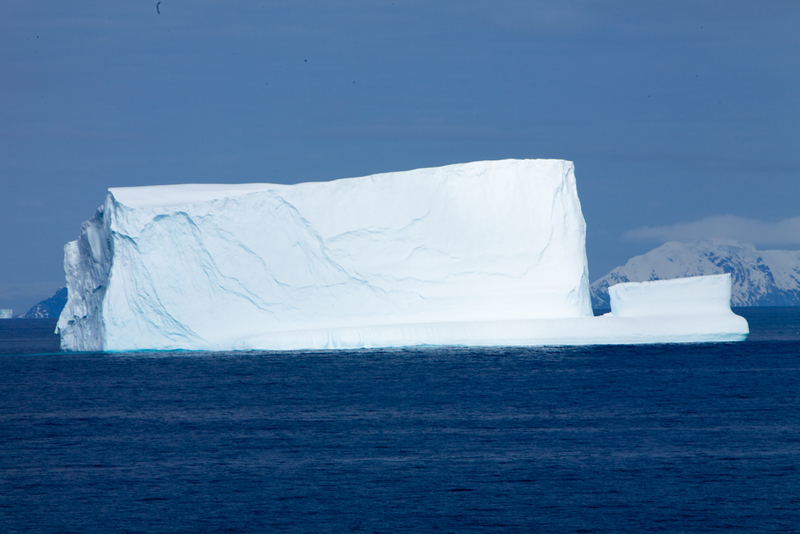 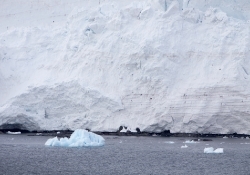 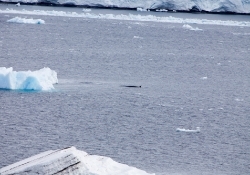 We saw them jumping on and off the icebergs as they floated by. 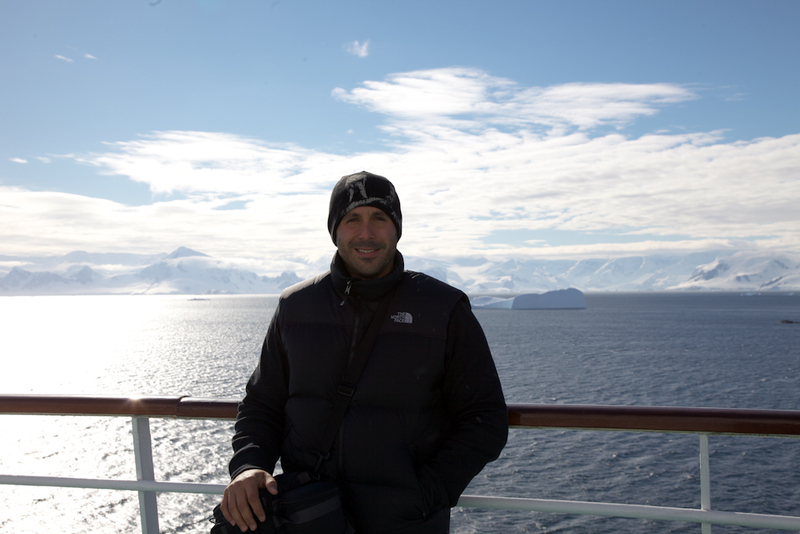 The 5 days were just incredible. 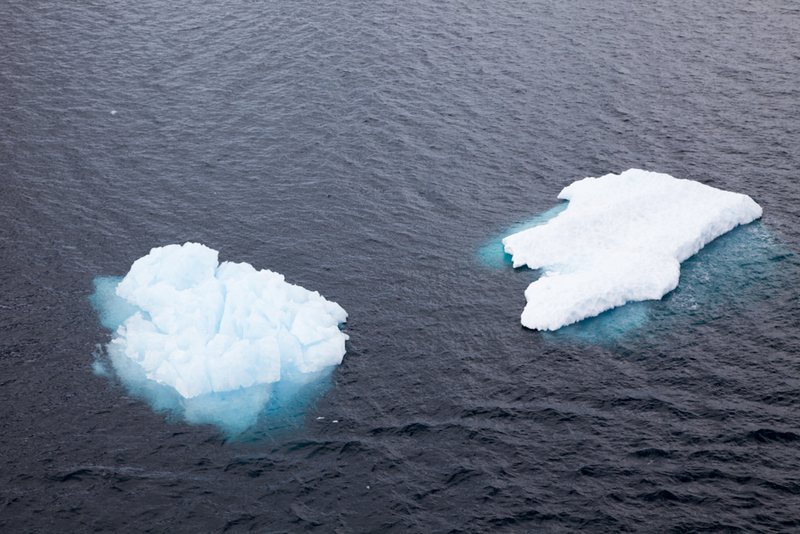 Way more than we could have ever imagined. 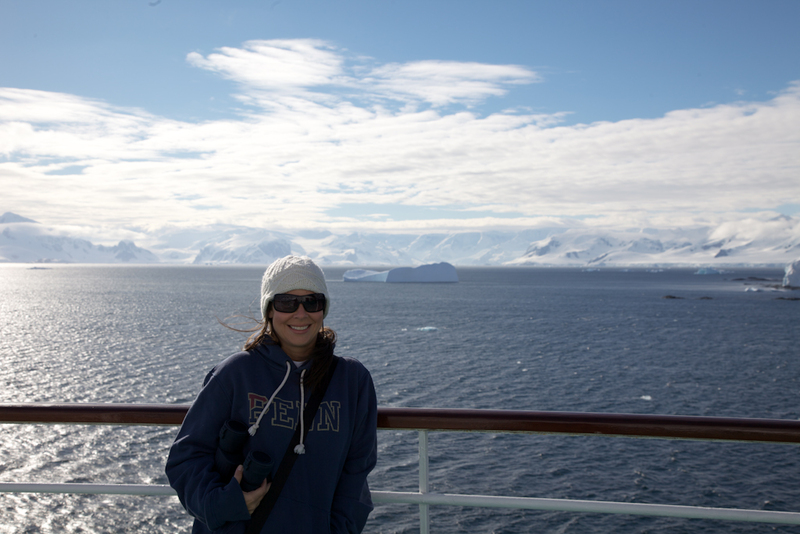 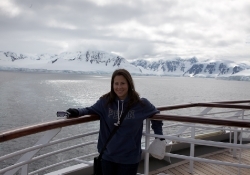 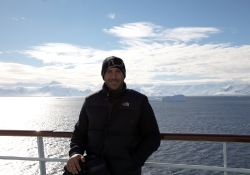 If you ever are thinking about taking a trip and need a suggestion, a cruise that takes you through Antarctica is strongly recommended. 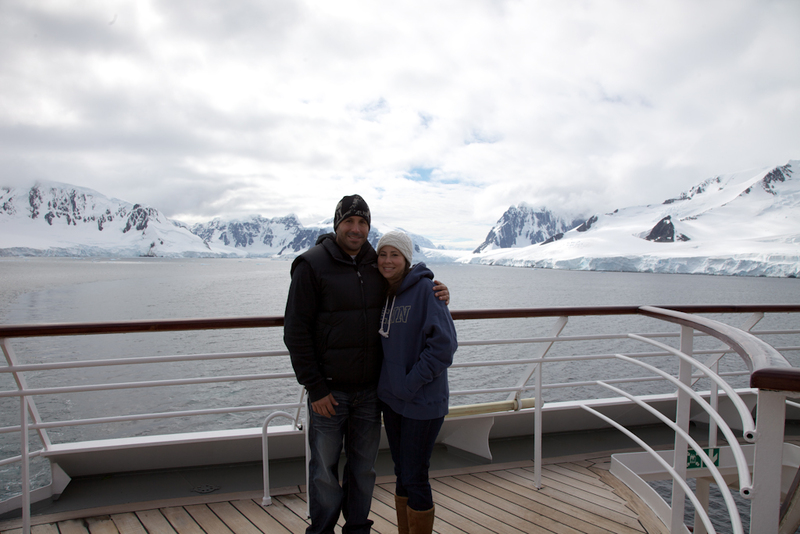 Words and pictures truly can’t express how magnificent of a place it is! Here are a very small sample of the 700 pictures we took here. Absolutely awesome. Your pix are great! 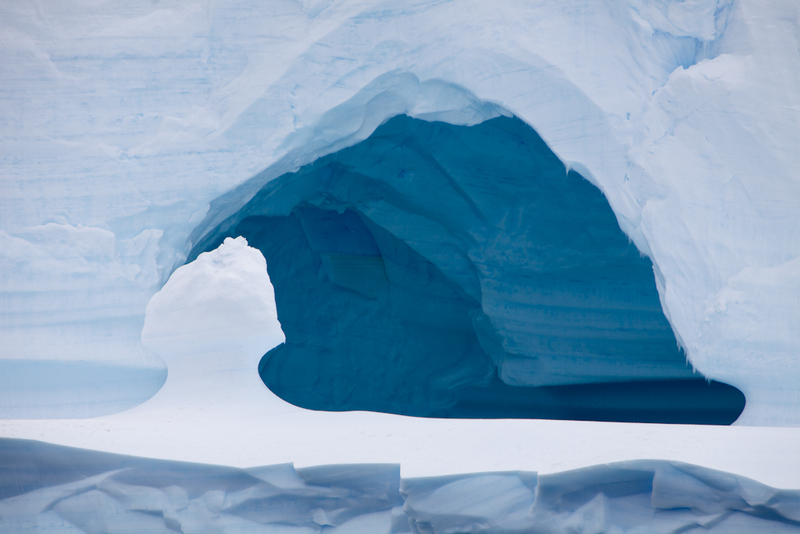 Wow–beautiful! I had to go get a sweater just to look at your pics!! 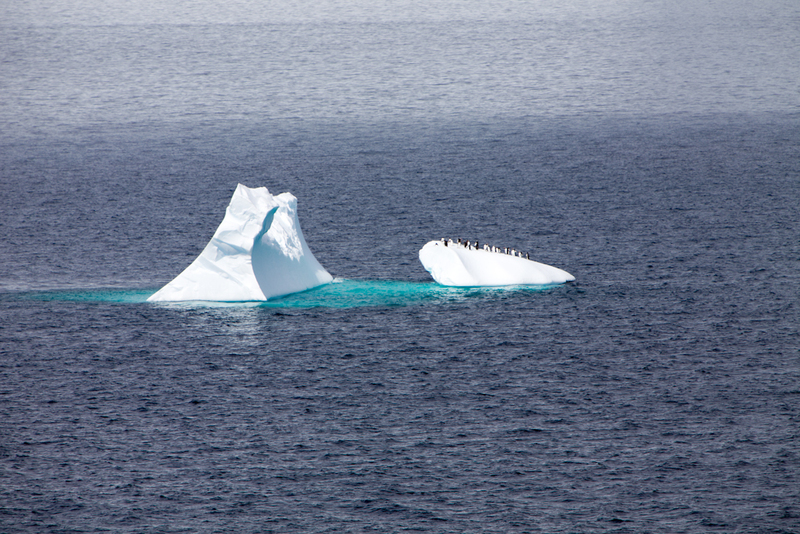 See you Monday.